The population is estimated to number 7,000 individuals, the vast majority of which are small plants, and is decreasing due to deforestation. Torreya jackii is a small tree occurring in evergreen broad-leaved forest, along streams, on steep slopes in shade or in secondary vegetation usually near moisture. Its altitudinal range is between 120 to 1320 metres above sea-level. 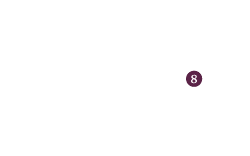 It is a species of warm temperate to subtropical regions affected by the SE monsoon with an annual precipitation of 1350 to 1600mm and mean annual temperature 17–20º C, with absolute minimum of -10º C. It grows on acidic mountain yellow earth or rocky granitic or rhyolitic substrates with a low pH of 4.2–5 with good access to ground water or seepage. Associated species are e.g. Quercus oxyphylla, Q. phillyrhaeoides, Photinia benthamiana, Loropetalum chinense, Cyclabalanopsis glauca, Castanopsis eyrei, Schima superba, and Rhododendron latoucheae. In secondary vegetation shrubs like Loropetalum chinense, Vaccinium bracteatum, Rhododendron ovatum, Symplocos caudata, etc. are common. Roots have a fleshy cortex capable of water storage, enabling the species to withstand drought spells. The fragrant wood of this species is used to make agricultural implements, utensils and handicrafts; the wood is also used for firewood and chemicals are extracted from the leaves and bark for treating cancer. Outside China T. jackii is not in general cultivation and restricted to a few botanic gardens and/or private collections. Occurs in at least one nature reserve - Jiangshi Nature Reserve in Fujian province, declared especially to protect this species. Occurs in several other reserves across its range (e.g. Yukeng Nature Reserve in Zhejiang province). Further field surveys are needed on this species to determine its full distribution range, population size and trends and also to see if the threats are continuing. This species occurs at much lower elevations than the other Torreya species and it will certainly have undergone significant reductions in the past 150 years (three generations) due to habitat clearance for expanding agriculture and general clearance of all such habitat in the past. Most of the plants are reported to be fairly small which seems unusual for a Torreya species, hence it is likely that the larger specimens have all been logged and what we are seeing today are generally younger trees. It is suspected that the population reduction has exceeded 50%. Due to the logging ban and declaration of a number of nature reserves, the decline may continue at a lower rate. 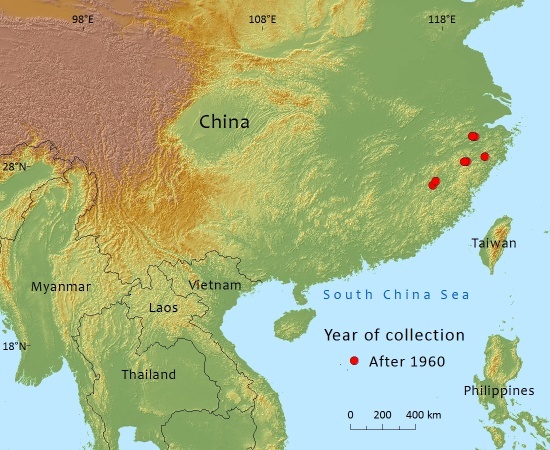 Fu and Jin (1992) determined the conservation status of T. jackii as Vulnerable (VU) in China Plant Red Data Book 1, but the Conifer Specialist Group of IUCN-SSC (Farjon & Page, 1999) changed it to Endangered (EN). This species occurs very locally and has been in steep decline, especially due to destruction of its forest habitat for expanding agriculture (crops). Special reserves to protect this species in the wild are urgently needed. Natural regeneration is hampered by fragmentation of populations. Li, J. & Z. Jin (2007). Genetic variation and differentiation in Torreya jackii Chun, an endangered plant endemic to China. Plant Science 172(5):1048-1053. Liu, J. & J. Jiang (2014). 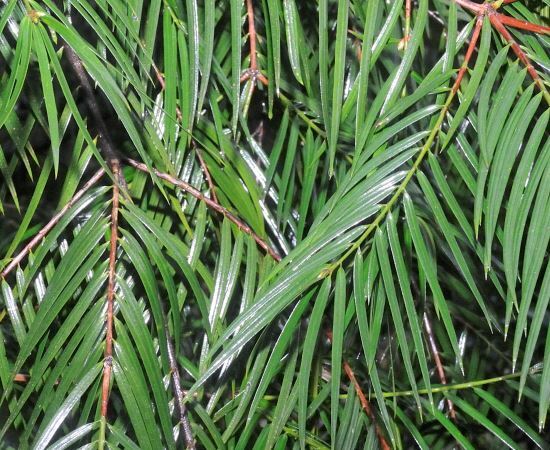 Germplasm and conservation of rare and endangered tree species endemic to east China. Plant Science Today 1(4):183-187. P.Thomas,Y.Yang,and D.Luscombe, 2016. Torreya jackii, from the website, Threatened Conifers of The World (http://threatenedconifers.rbge.org.uk/taxa/details/997).